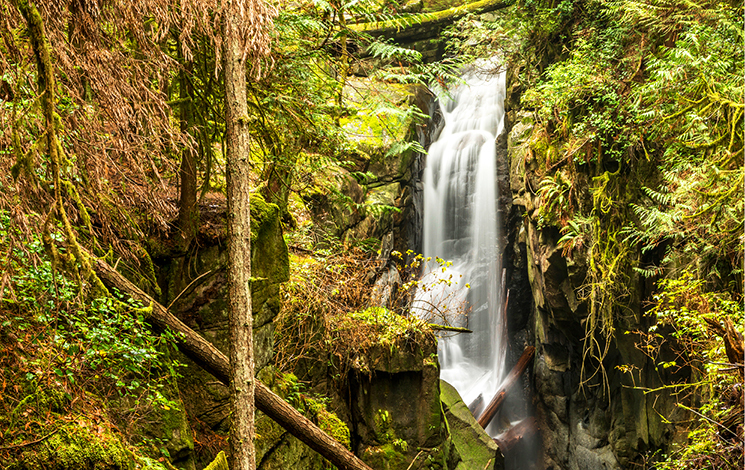 Cypress Falls Park has easy to get to and impressive features, including rushing waterfalls, a raging creek, 300-year-old trees and opportunities for wildlife viewing, all just a short drive from the highway. Its low elevation makes Cypress Falls Park a good option in winter when many other trails are covered in deep snow. 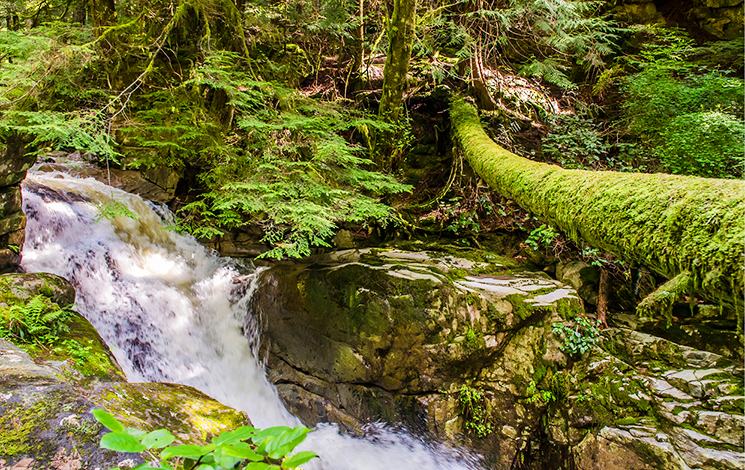 Hike to the two waterfalls in the park and view the impressive volume of water rushing past. Walk through dense stands of 300 year-old Red Cedar and Douglas Fir. Play some tennis or let your kids loose in the playground. The first falls are just a short walk from the parking lot and the upper falls take about half an hour to reach. Both are well worth the journey. Watch for chirping sparrows, squawking jays, busy squirrels, soaring eagles and maybe even a bear. You may be close to civilization, but this is a wilderness park. Take Upper Levels Highway exit 4 to Woodgreen/Caulfeild Drive. Turn right at the stop sign onto Woodgreen Drive. Turn right onto Woodgreen Place, which leads to the parking lot and trailhead. 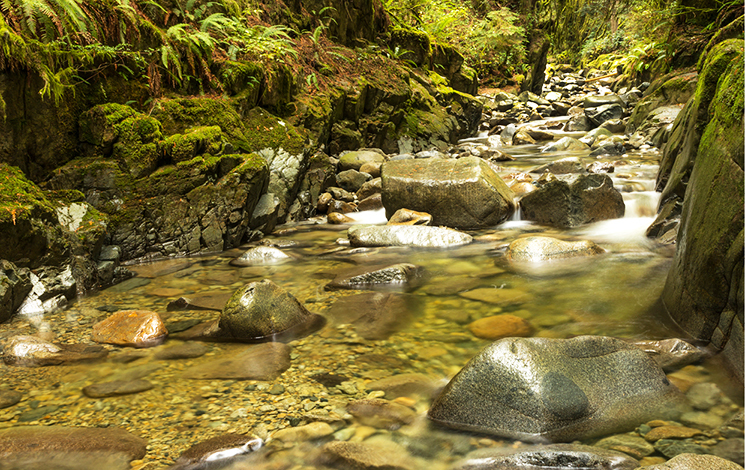 Cypress Falls Park is a designated off-leash area where well-behaved dogs are free to roam. As this is a wilderness park, be mindful of bears in the area. Cypress Provincial Park is not on District land and dogs must be on leash in that designated area (there is site signage in place reminding dog owners). Cypress Falls Park has a Dog Waste Only bin.